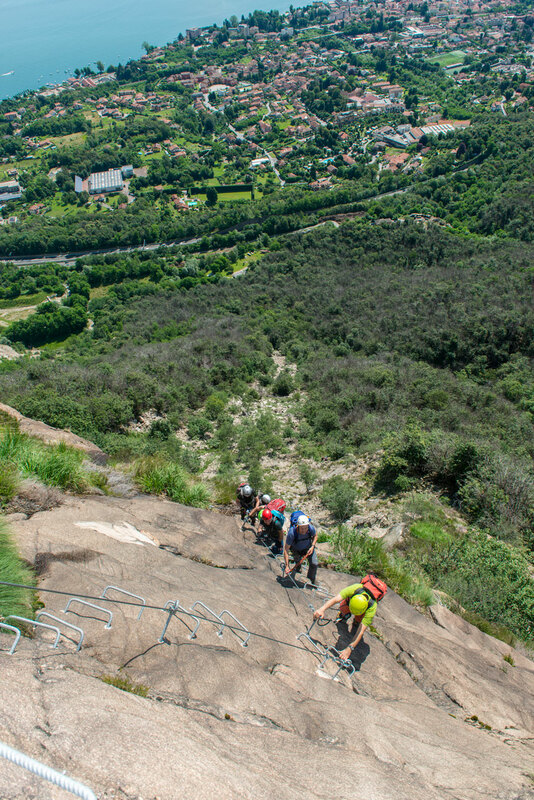 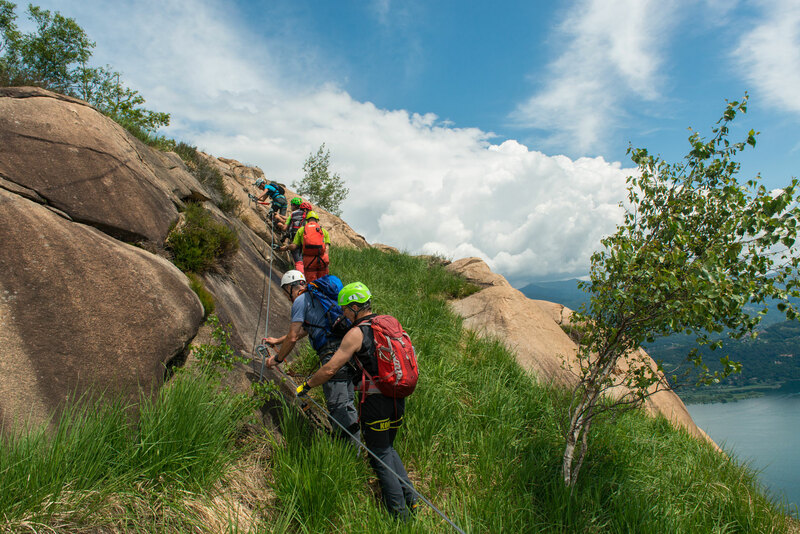 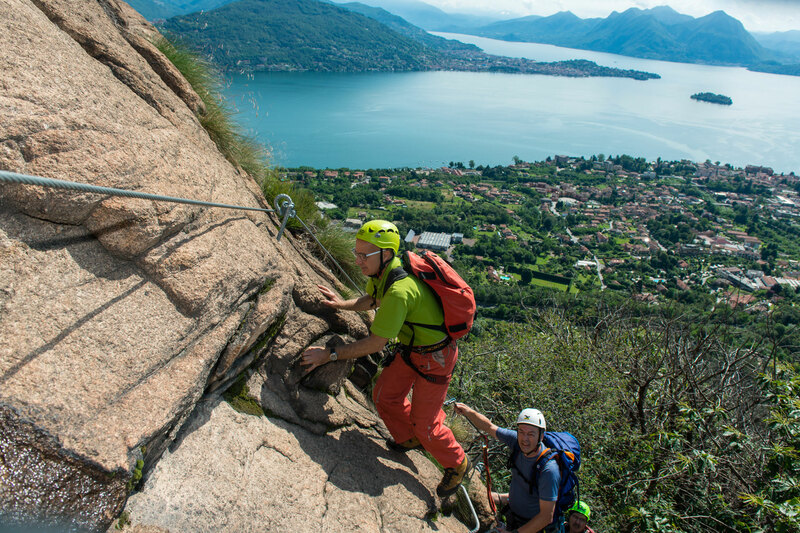 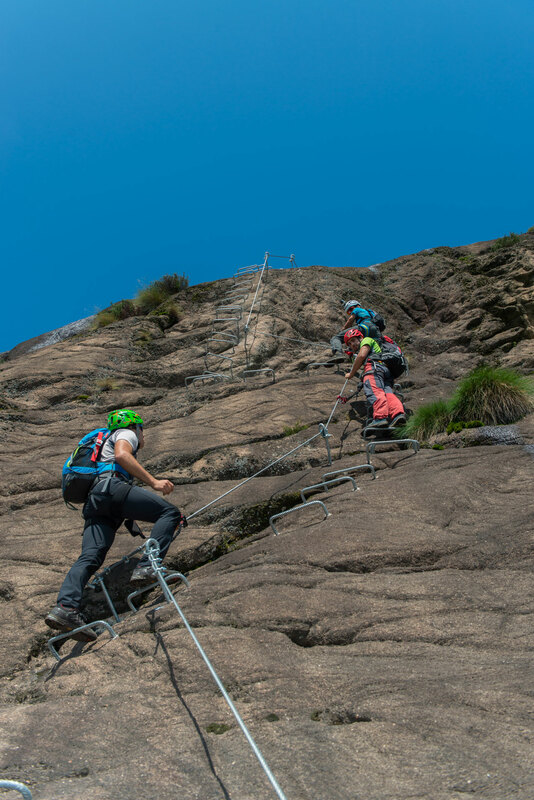 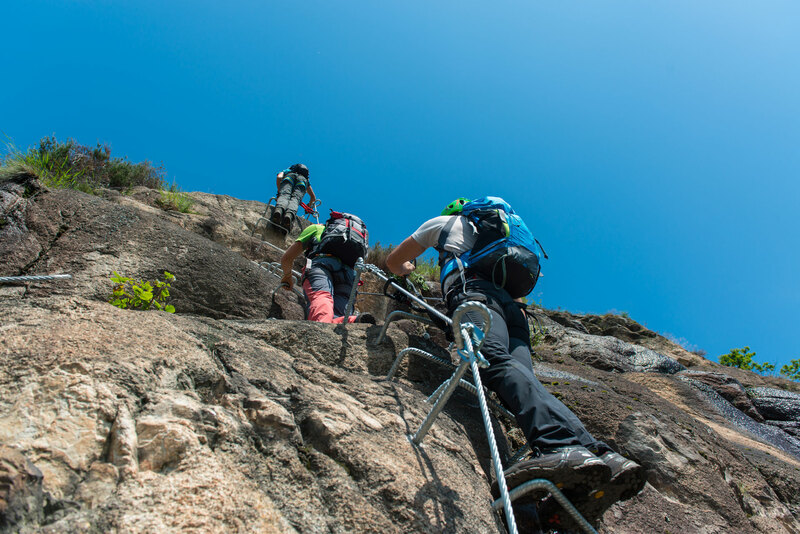 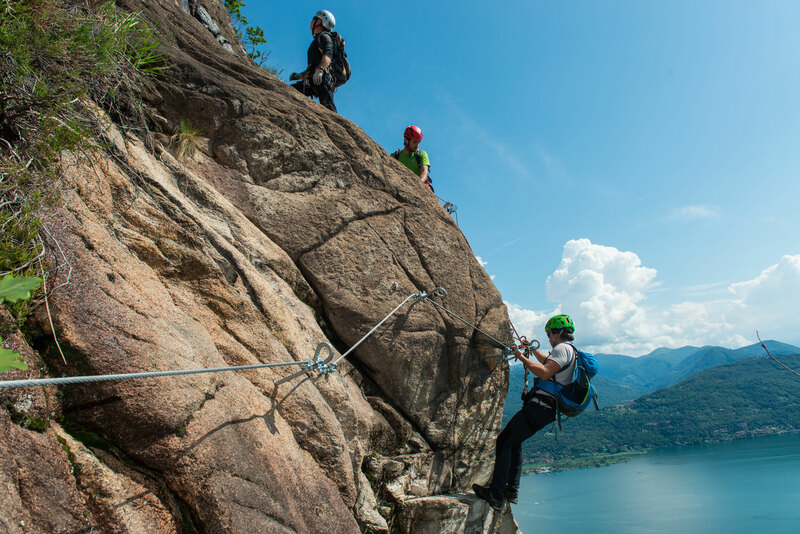 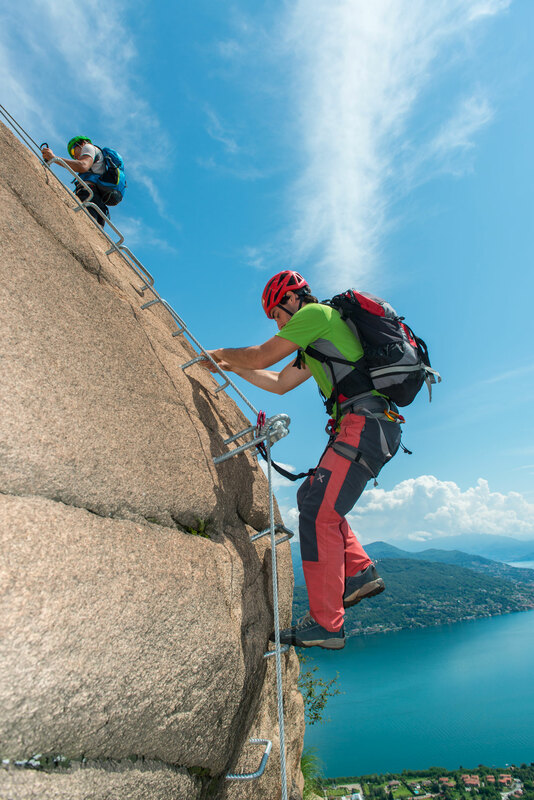 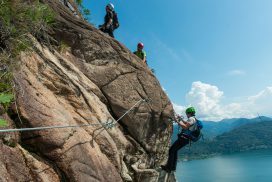 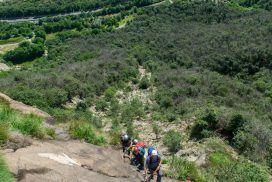 The via ferrata (iron road-way) is a route that leads the mountaineer on rock faces, ridges and high ledges, protectively equipped with ropes and ladders, without which, significant climbing would be required. 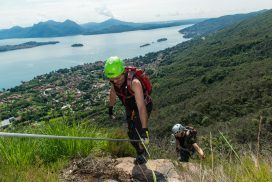 It requires adequate preparation and a suitable equipment is necessary: helmet, harness, lanyard with energy absorber, iron road-way gloves and hiking boots. 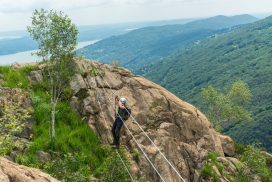 Access to and use of this route is free, as long as one respects the rules, established by these regulations for use. 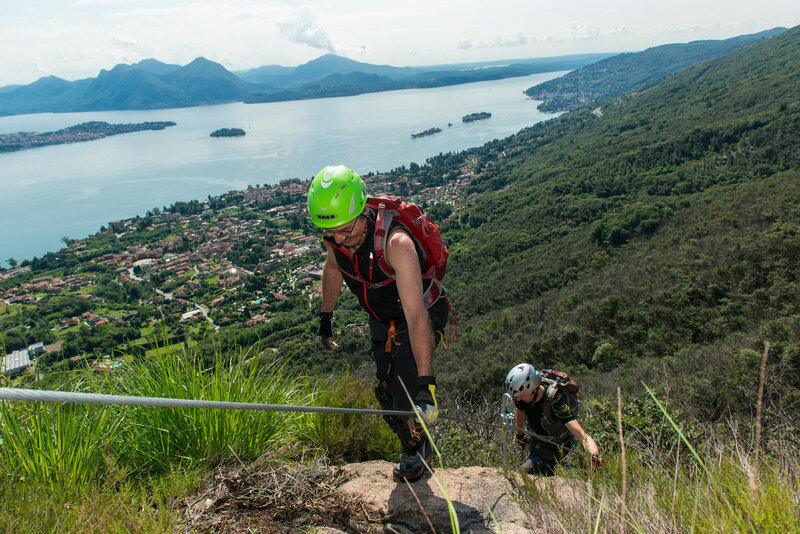 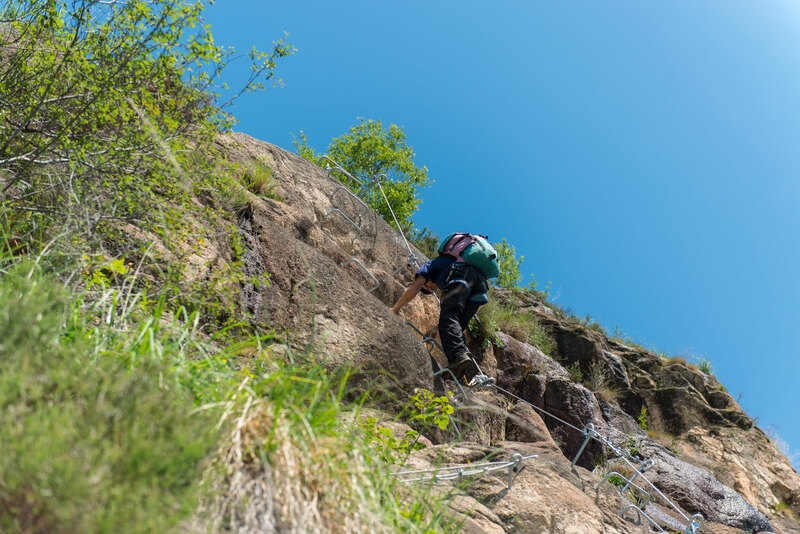 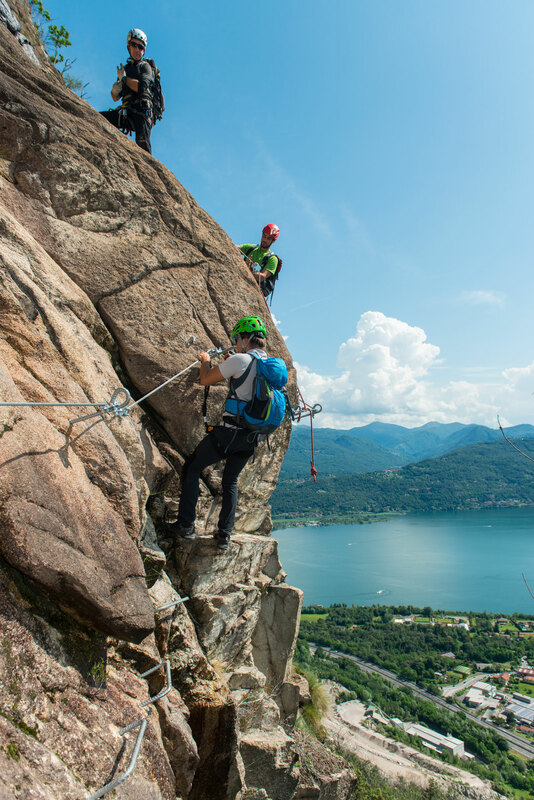 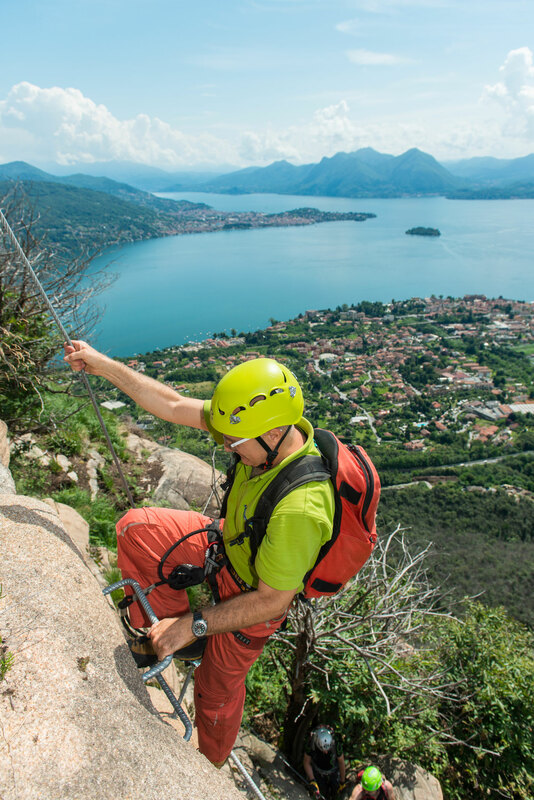 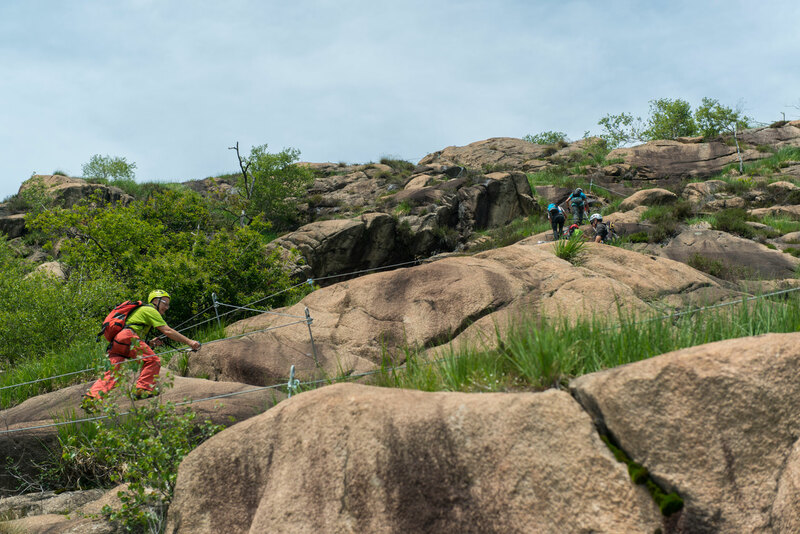 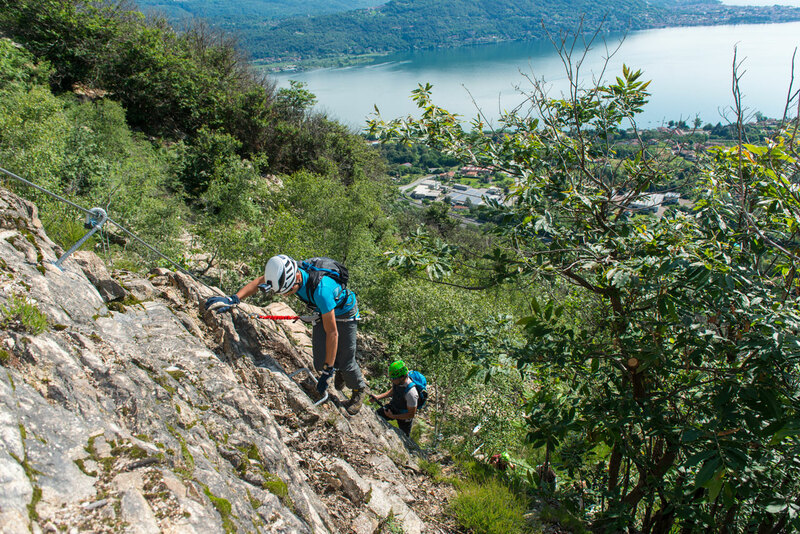 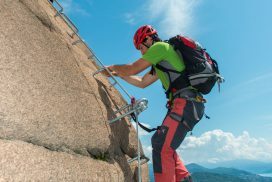 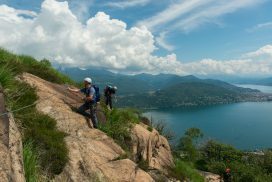 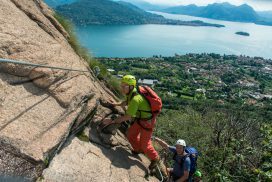 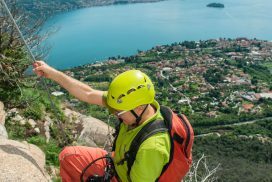 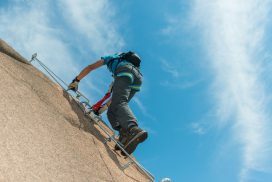 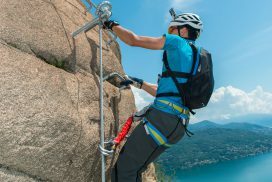 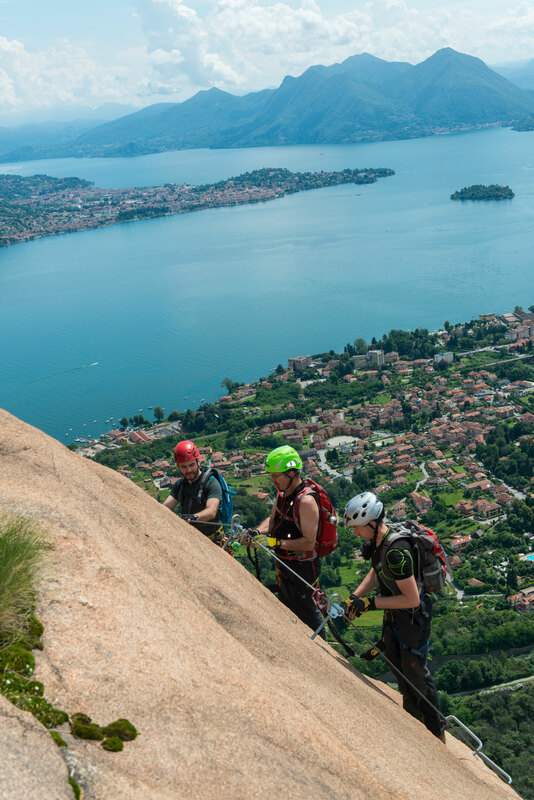 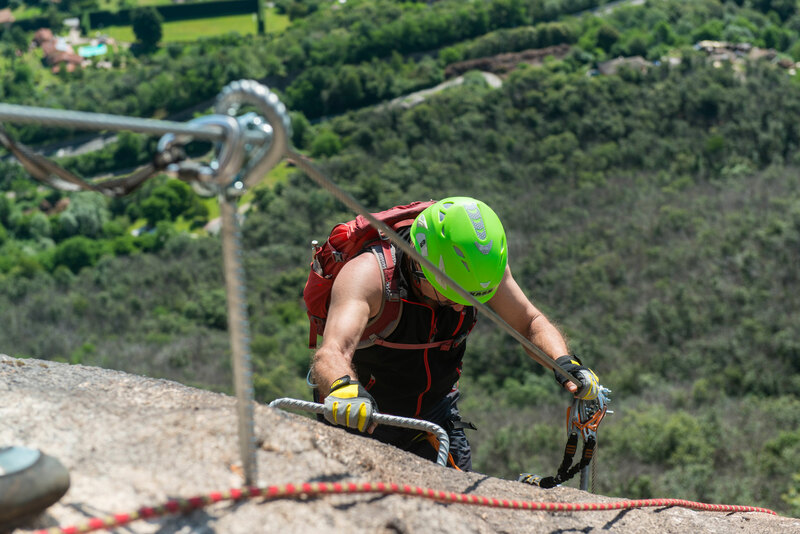 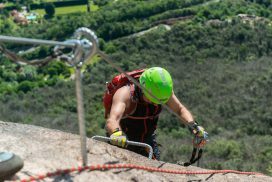 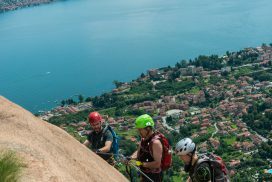 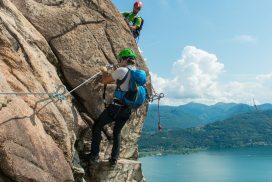 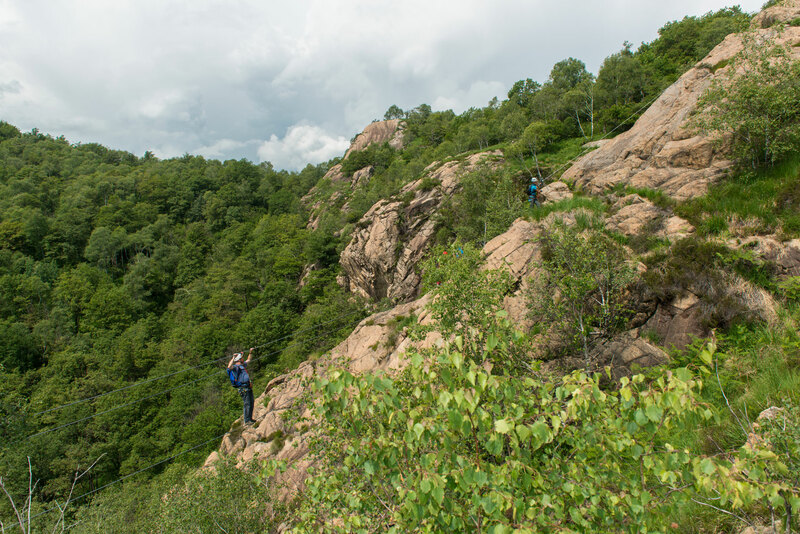 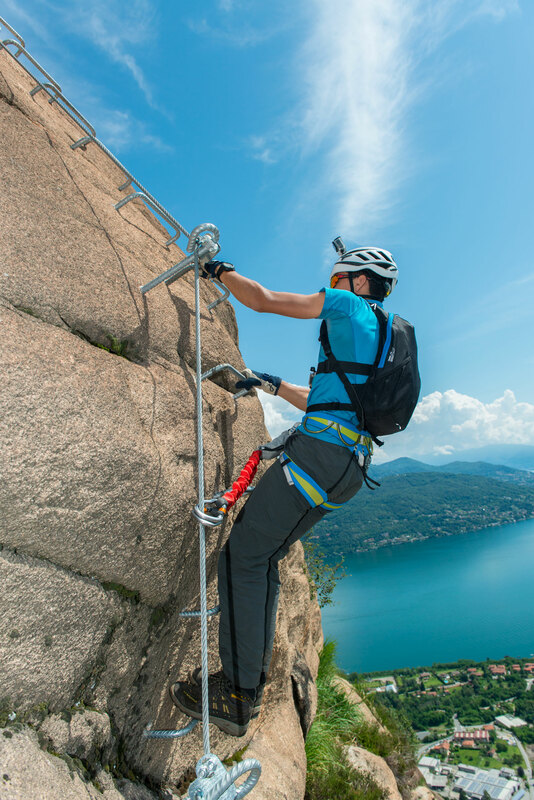 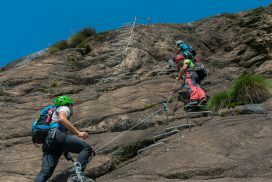 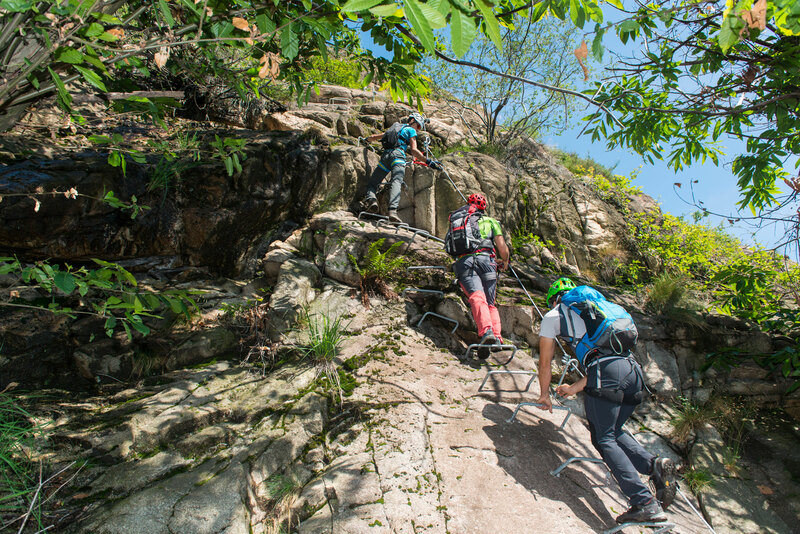 The limitations contained in this document, have as their exclusive objective enjoyment and safety on this route via ferrata and protection of the surrounding environment. 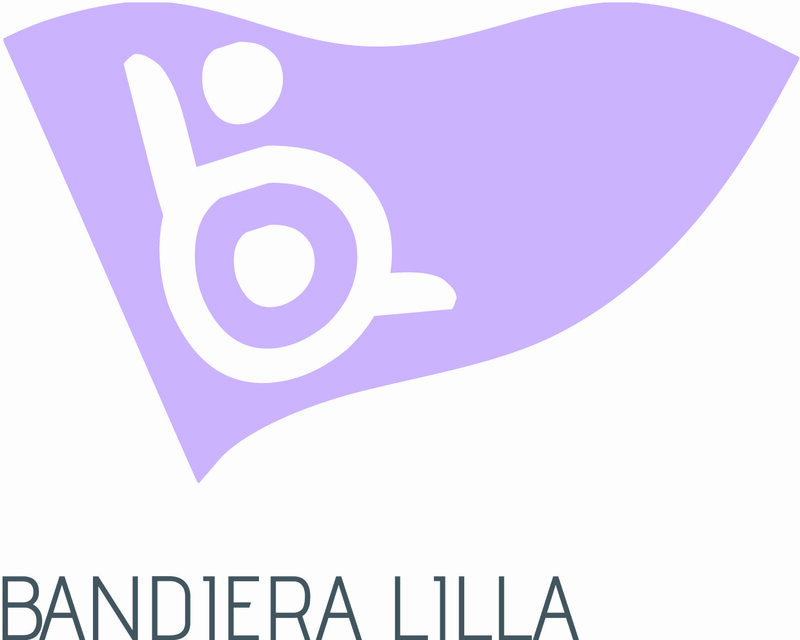 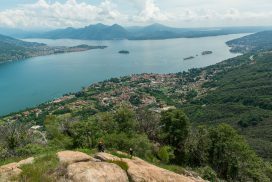 BY CAR: from motorway A26 take exit Baveno-Stresa, then take the second road on your right and at the roundabout take the first exit, follow the road for about 1 km. 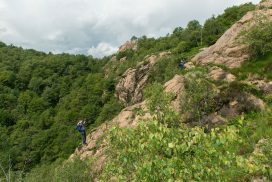 Once reached locality Tranquilla take the narrow road in front of the old wash house. 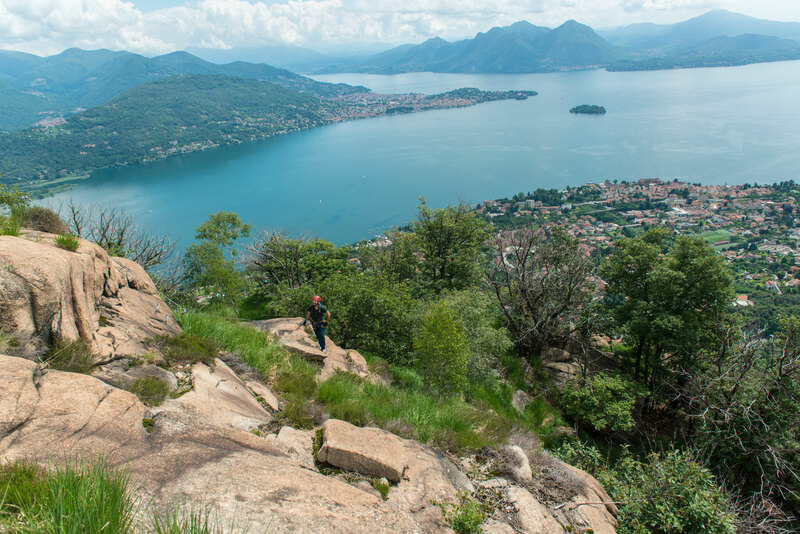 BY PUBLIC MEANS OF TRANSPORT: once you are in Baveno, reach hamlet Oltrefiume and locality Tranquilla, from there take the narrow road in front of the old wash house.